Choosing a great MIDI controller for music production shouldn’t be hard. A MIDI controller has become an important component of the studio to the point where most of our playing and sounds are being activated by a single press of a note. Of course, there are music producers who can compose and produce music without a MIDI controller. But a MIDI controller helps add musical expressions to your music. 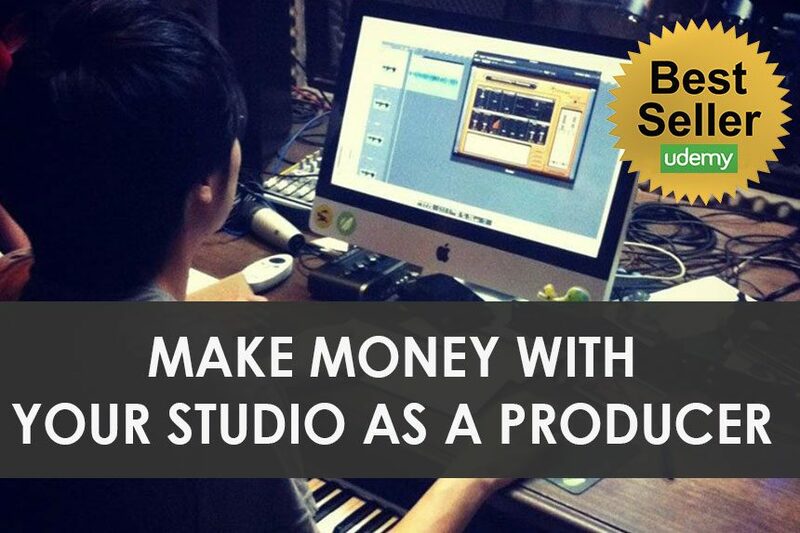 That itself makes it a worthwhile investment for your studio. Problem is there are too many MIDI controllers in the market now. Which one should you go for? We compiled a list of MIDI controllers, great for value & functionality in this post. Let’s get started. You can review our top controller list in 2017 here: Best 16 MIDI Controllers in 2017. Okay, What Makes A Good MIDI Controller? As always, there no such thing as the ‘best’ MIDI controller. Different types of MIDI controller may suit different types of music producers and their working styles. But there are a few things to consider when it comes to choosing one. First, how much more productive would you be with a MIDI controller? Some controllers may try to attract you with its many features. But be honest with yourself. Do you actually use them? For me, I only always use the keys – that’s it. So I look for MIDI controllers with great key touch. Second, how easy is its integration with your chosen DAW? I know many producers who spend more time troubleshooting their controllers than actually making music. Third, are they made to last you a few years? Do they break after a few uses or get its technology (functions) phased off after only a few months? Here are some of my picks for the best MIDI keyboard/controllers from prices ranging from below $300 to $1199. The Arturia KeyLab Essential used to be a disaster, with its buggy software registrations and dropouts. It has now been redesigned to be more compact – with an aim to put music first and not technicalities. Gone are the confusing set up for this MIDI keyboard. Now, it’s a simple setup, plug, and play. Ranging from a 49 key and a 61 key. They all feature velocity sensitive keys, 9 faders & pods & 8 RGB back-lit multi-purpose performance pads. The 49 key version does not get the fancy RGB back-lit pads. Given its features, the KeyLab is priced very well which, making it affordable for beginners who are looking for a controller to start with. I especially emphasize upon affordability because the KeyLab Essential also comes together as a bundle which includes Ableton Live Lite & Arturia’s Analog Lab 2. Analog Lab 2 features many of the top classics from Arturia’s award-winning V Collection. Basically synths, pads, decent sounding virtual instruments that don’t sound cheap. The amazing thing is Keylab should work well with most DAWs. All of the given virtual instruments are all mapped out accordingly to the MIDI keyboard. Unfortunately, the KeyLab MIDI controller keyboard is not bus powered and can only be used with a 9V DC power supply. This makes it great if you’re producing music in a studio and don’t plan on producing on the move. Last bit of advice, get the 49-key to save space in the studio and the 61-key if you’re a pianist. I’m a fan of simple MIDI controllers like the M-Audio Keystation & Samson Carbon 49. Plug it into your computer, load up some VST instruments and start making music. If you want an affordable and simple MIDI controller, with a nice touch, I’d recommend the Novation Launchkey above other budget MIDI controllers. At its given price, it’s extremely well built and you really have no complaints about it. The Launchkey comes with 8-faders, 8 pan knobs, a transport module and your usual pitch and modulation wheels. It only comes with two buttons to change the octaves and transposition. I didn’t quite like that you press the two buttons together to get into the transposition mode and had to wait a few seconds after that for it to jump back into the octave mode again. What if I’m performing and I only had a few measures to switch the octaves and transposition? At this price point, it’s amazing to find a 2 x 8 row of velocity sensitive, RGB colored pads – used for percussion tapping and launching loops. A feature that would have made the Novation Launchkey a true all-rounder winner, is an addition of a 5-pin MIDI output, allowing you to control other MIDI devices. Get the Launchkey if you want to get to making music quickly without fumbling with lots of setup and features. M-Audio has designed a MIDI keyboard that is just more than just a MIDI keyboard, but also one with plenty of options to control your music. 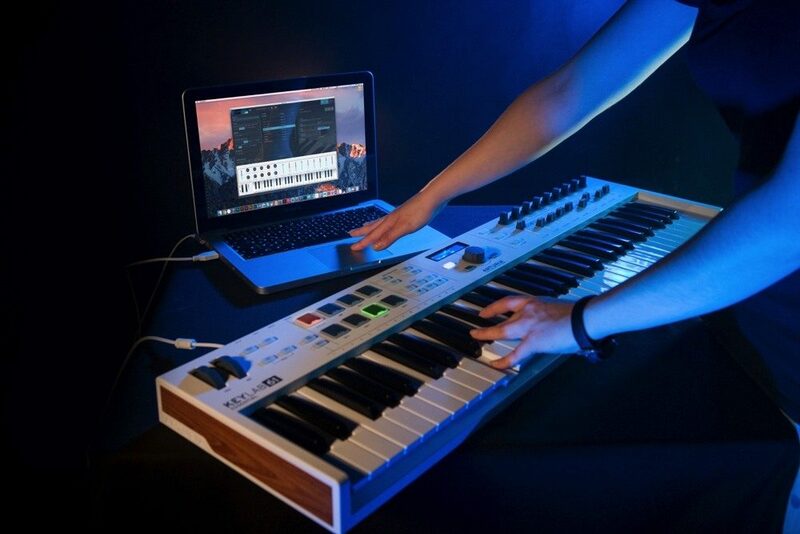 Better suited more towards the pro music producers, the feature-filled MIDI controller can make it a little daunting for beginner musicians to use and may require a higher level of technical know-how to fully take advantage of every feature available. That is why you’ll find a lot of negative reviews on the M-Audio Code 61due to users not knowing how to fully operate the MIDI controller. So if you don’t want to spend time customizing, fiddling and learning the controller, then you are best off getting a simple & straightforward MIDI controller. However, if you think you can be more creative with an advanced MIDI controller, then read on. Fitted with semi-weighted keys with aftertouch, the M-Audio Code 61 can let you set aftertouch to control anything from portamento, vibrato, volume or whatever you want. You can also set zones on the keyboard to trigger up to 4-5 instruments on the keyboard. This is pretty useful especially if you’re planning to perform live with the Code 61. There is also a nice X/Y touchpad that allows you to control multiple parameters of your plugins and effects. You can even use the X/Y pad as a touchpad for your computer. Additionally, there are also MIDI ports on the back, meaning you can use the Code 61 as a standalone to control MIDI devices. The M-Audio Code 61 works and integrates with major DAWs, but you might hit into some roadblocks when setting them up. If you don’t want to fiddle with the set-up and integrations (like me), avoid this one. You’ve been warned. The Roli Seaboardisn’t your everyday MIDI controller or keyboard. Only the adventurous one would pick up one, given its hefty price as well. But what you get is a brilliant controller, designed for creativity through ultimate expression with a revolutionary touch-sensitive keyboard interface and a custom-built synthesizer built in. Programming instruments like a guitar using a conventional MIDI keyboard controller will be tough, if not impossible. This is where the Seaboard RISE unlocks this limit by providing you with playable expressions on a sensor embedded key wave surface, that you control the moment you touch the keys. 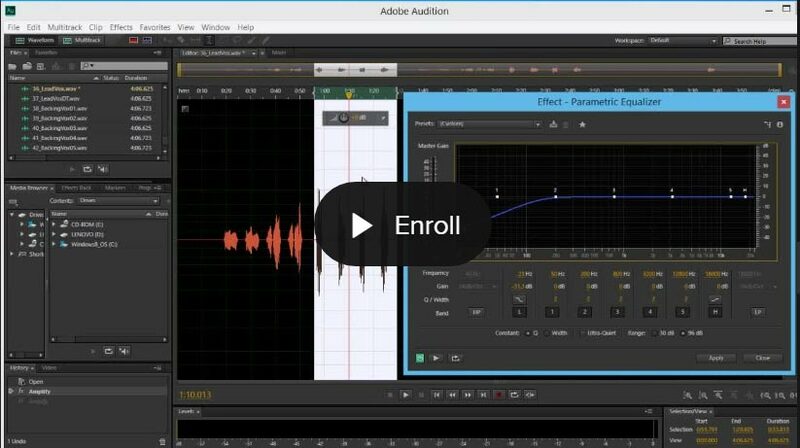 You can create slides, vibratos and modulate sound as you like. What’s more, the Seaboard even work battery-powered. The Roli Seaboards high pricing and somewhat hard learning curve are its cons. However, on the flip side, it seriously opens up a whole new world of playing and experimenting with sounds. I’d advice getting the Seaboard RISE 49 instead of the 25 key version, as you’ll get to be more creative on it. The 25-key version is too small for playability especially if you’re playing long lead lines and chords with the Seaboard RISE. Also, I’d only advice getting the Seaboard as your second MIDI controller. Using this as your main controller to program music does not make sense to me. If you are a music producer that travels frequently, you may be looking around for a portable MIDI keyboard/controller that is usable. So, here are my best picks when it comes to portable MIDI keyboard/controllers. Wireless technology has become more prominent over the years and now MIDI controller makers are catching up to it. The CME Xkey 37 Air does fall into the ‘budget’ MIDI controller range, but it has its reasons why. First off, upon unboxing the CME Xkey, you’ll notice how well built the controller is. Built with an extremely slim profile with the same material used to make MacBook Pros. The caveat to the Xkey is its key travel. They are not your everyday type of music keyboard, but more like a computer keyboard. Personally, I found playing on the CME Xkey a pleasure. Yes, I did hit a few mistakes here and there upon freshly playing on it, but it began to grow on me as I experimented on it further. Some music producers though, have commented that playing on the keys of the CME Xkey to feel a little strange. In most cases, it weighs down to personal preferences. It was surprising to find that the aftertouch, works quite well on the Xkey. By far, in terms of mobile MIDI controllers, the CME Xkey has the most expressive & usable aftertouch. Latency is very low on the Xkey with its Bluetooth 4 technology and even with that, it is able to last up to 10 hours running only on the inbuilt battery. If your computer does not have a good inbuilt Bluetooth 4.0 adapter (the case with some Windows computers), you could purchase the Wifi Bud, which works as a plug & play adapter. In conclusion, a nice mobile MIDI controller that playable but is in the higher price range. Go for the 25-key version to save a few bucks, and if space allows, the 37-key model is worth the extra keys. The Nektar Impact LX25+ sets to beat premium MIDI controllers in the market with a lower price. Seamless integration with major DAWs is one of the best features of about the Nektar Impact. While you’ll find the integration of most MIDI controllers to DAWs a challenge, Nektar seems to have nailed it with this one. Setting it up was pretty easy. Download an installer for your DAW and with just a few minor fiddling, the Impact LX25+ is ready for use with your favorite DAW. You can customize it if you want to as well. The pads are extremely responsive and fun to play with, while the sliders and knobs feel very solid. Adding on to that, it also comes with a copy of BitWig 8-track DAW. It’s not a full software though, so if you already have your own DAW, just stick with it. A quick downside to this controller is that there is no MIDI out ports. That means you can’t use it to control any MIDI devices. Again, this might not bother you if you’re looking to program MIDI on a single channel, to your computer only. If you love the Novation Launchkey, here’s the mini version of it! The Launchkey mini makes producing music fun while being functional. You can see that it is made with an intention to be integrated with Ableton Live. I can see it to be a great tool for a performing DJ during live sets to launch sound clips and to program on the fly. That said, the non-Ableton Live user can also find use with it. The Launchkey Mini integrates with other major DAWs like Logic, Pro Tools, Cubase and FL Studio as well. It’s hard to find another mini MIDI controller with all these features, the nice keys and playable pads at this affordable price. But be warned. You’ll find product videos where it shows someone performing flawlessly with both the keys and pads on the Novation Launchkey mini. To be honest, those videos are ‘marketing videos’. I found it hard to play so flawlessly on a mini keyboard while using the pads & keys at the same time. Perhaps with some practice, I’ll get better at it. But I doubt the playability will be as good as on an actual size MIDI controller. Value for money product. Get it if you like the idea of a compact MIDI controller. If you compose film scores and lush piano arrangements, you’ll probably want a full sized keyboard MIDI controller with 88-keys, added with weighted keys. Here are few options to go for. Among many of the fully weighted MIDI keyboards/controllers that I’ve stumbled upon, M-Audio’s Hammer 88 really stood out. Released around late last year, this MIDI keyboard is catered more towards the pianists. You won’t see faders, knobs, and pads on this 88-key MIDI controller. However, it does include the regular pitch and modulation wheels, octave/transpose buttons and a single fader for automation purpose. A 5-Pin MIDI DIN port is also available for triggering external MIDI hardware or to connect directly to a MIDI interface, without using the bus-powered USB cable. And with most 88-key MIDI keyboards, it has sustain, expression, and soft pedal jacks. Note that while the Hammer 88 can be powered through a DC power supply, you have to buy an adapter separately. Another nice feature that might interest you is that the Hammer 88 has iOS compatibility via the Apple Camera Connection Kit. This means you can use it with multiple iOS apps on your iPhone or iPad. The Hammer 88 also comes bundled together with M-Audio’s AIR mini grand piano, electric piano and a tonewheel organ simulator, and SONiVOX Eighty-Eight Ensemble piano instrument – for quick music making right out of the box. You also get a copy of Ableton’s Live Lite, which is really only good for lightweight use. Interestingly, it seems that M-Audio is also trying to target beginner pianists with the Hammer 88, as they have partnered with Skoove to give you a 3-month free trial to a set of interactive piano lessons. For the quality of the keys you get, the 88 key is an affordable MIDI controller. The bigger brother of the KeyLab Essential, the KeyLab 88-key. Why are we featuring this 88-key keyboard MIDI controller? Where the Keylab takes it further compared with other 88-key MIDI controllers, is its velocity sensitive Fatar keys with aftertouch. Fatar keybeds are known to be the best of keyboards, of great touch response and would last you a long time even with loads of finger hammering. Additionally, there are also 9 faders that extend up to 2 banks, 10 rotary assignable encoders, 2 clickable encoders, 1 volume encoder, 16 velocity pressure sensitive pads and an intuitive set of transport buttons – giving you the ability to control nearly everything you need from the controller. The downside with all these features is that the Keylab does not run via bus power and needs a 5V DC power supply to power up. If you’re always in the hunt for new sounds, you’ll be happy to find that the Arturia KeyLab 88 comes bundled together with Arturia’s new Analog Lab 3, worth $149! It is promoted to being an easier-to-use interface, from its previous version – including over 6,000 adjustable and storable presets. You even get UVI’s Grand Piano Model D, a beautiful sounding grand piano VST along with Piano V2 software, which is also updated to include new DSP piano models. This MIDI keyboard/controller comes with sustain, expression, breath controller and aux footswitch inputs, for maximum creative expression. If you like and use all these features, the Keylab is a solid buy. If you usually only use the keys, go for a simpler full-size keyboard MIDI controller. Unlike the Arturia, The Komplete Kontrol S88 appeals to producers who use the Native Instruments products such as Kontakt, Maschine or Komplete Ultimate. Just like the Arturia, the Komplete Kontrol S88 also features fully weighted Fatar keys. What really shines in this controller is the function of shifting scales using the light guides. Paired with Kontakt player, Kontrol 88 shows every keyswitches and scales with its light guide. You don’t find the same functions in any other keyboards. For the non-keyboardist, there’s a neat feature known as ‘Smart Play’ that allows you to play chords with single notes. This won’t appeal too much to music producers who can play on the keyboard fluently, but I see it would be helpful, especially for electronic music producers to discovering new chords and sounds. The scale feature allows you to make the keyboard into different musical scales, and is a godsend, especially if you’re composing in music genres that you are not familiar with – like world music. Buying the Kontrol S88 means you get savings on Komplete sound libraries too, so I’d recommend going for the Kontrol 88 if you plan on buying Komplete anyway. Feel things you should take note of though. The Kontrol S88 is NOT compatible with 32bit DAWs on a Mac. 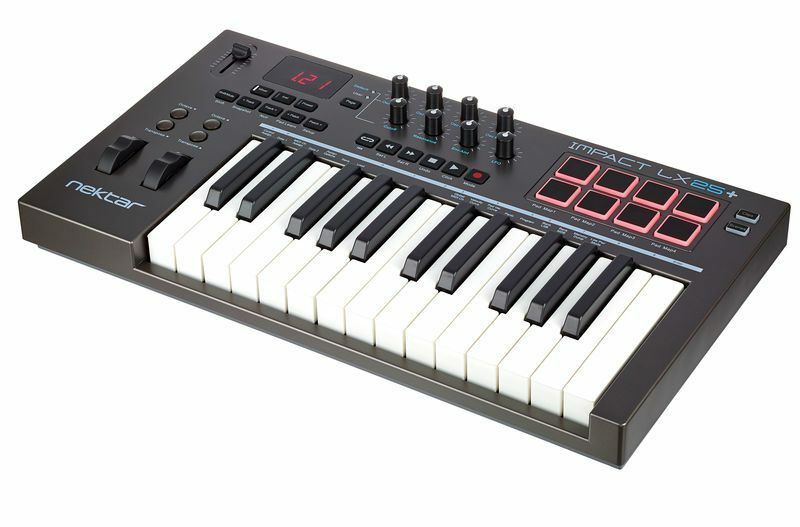 Plus, the Komplete Kontrol controller series is in the higher budget range. However, if you are in the market searching for a full weighted MIDI keyboard controller with complete integration with Kontakt, then the Kontrol S88 is a perfect buy. Need a pad MIDI controller for drum triggering and sound sequencing? Here are two great picks. The BeatStep Pro is a sequencer and controller, all in one that allows you to control hardware and software. While you might take some time getting used to its unusual interface, the BeatStep Pro will change the way you make music with conventional MIDI controllers. Great design and compact, it is no ‘budget’ toy, but designed for serious art and sound making. You get loads of sequence options, flexibility, and creativity – while being simple enough to understand. There are two melodic sequencers and a drum sequencer onboard, giving you the freedom to create all sort of sequences directly on the device itself. As a controller, every knob and pad is customizable and mappable to virtually any software synths, plugins, instruments, drum machines – and really anything with a USB, MIDI in an out, CV/Gate outputs, and DIN sync. The BeatStep pro is able to work with any traditional or modern piece of gear in your studio, being the ultimate controller and sequencer that will fit in your studio’s heart for a long time. Great choice if you’re into experimenting with sound creation and music making. Don’t buy as a first controller, but rather as a supplementary one for creativity. The Launchpad Pro is the staple for pad-styled MIDI controllers. Seriously, nothing comes near to it in terms of flexibility, creativity, and playability. In fact, some music producers find themselves more creative when playing with pad-styled MIDI controllers – the Novation Launchpad Pro. I recommend getting the Launchpad Pro versus the Launchpad MKII for a few reasons. First, you get velocity-sensitive pads that allow you to program and perform dynamically. This means you can hit soft or hard to get the dynamics you want. Second, with the Launchpad Pro, you get to use scale mode. This feature opens up a door to limitless creativity in recording, where you’ll never hit a wrong note as opposed to playing on a keyboard controller. Furthermore, you can use scale mode with other synths and MIDI devices, using the Launchpad Pro as a standalone controller. You might mistake the Launchpad Pro to be only good for playing drums and triggering live samples if you are new to pad-styled MIDI controllers. However, with the added features, it is also possible to play lead instruments, synths & chords, opening your limits to playing and recording music. Truly the best pad-styled MIDI controller in the market, without a doubt. At the end of the day, having the best MIDI controller doesn’t necessarily mean that you will produce chart-topping hits. Sure, it’ll make you look more like a ‘music producer’ but what’s going to matter in the end is your skills in music production. By the way, which MIDI controller is your favorite? Which did you choose to buy for your studio and why? Let me know in the comment section below. 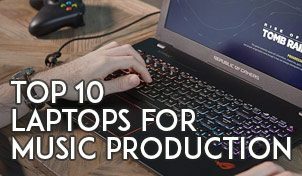 Also, did I miss any great MIDI controllers in this list? 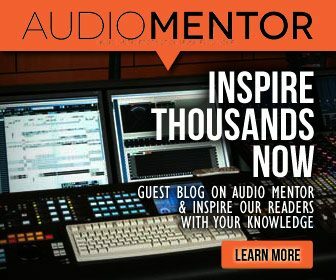 Share your thoughts with the Audio Mentor community in the comment section below.